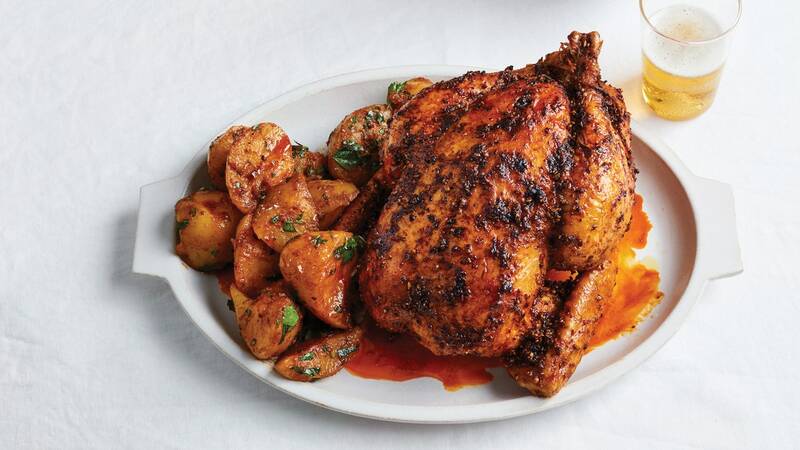 Rather than cook the potatoes underneath the chicken as it roasts—never a bad move—we boil Yukon Golds and tear them into craggy chunks for tender, buttery pieces that better soak up the tomatoey spiced pan sauce. Plus, steak isn’t the only protein that needs a good rest. Letting a roast chicken sit for up to 45 minutes helps prevent the juices from running out of the meat as soon as you slice into it.